According to a posting on spacebattles,, the Belknap is a canon vessel, approved by Gene Roddenberry for the FASA simulation game. 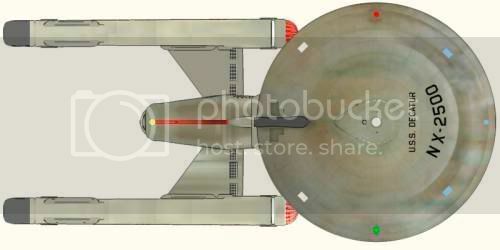 Originally, it was conceived as a ST:TMP era vessel, but Todd Guenther backdated it to TOS. My model of the TOS version of the vessel is presented in Franz Josef Starfleet Technical Order form. More of this fannish sort of stuff is in the gallery.